Just a quick comeback for Spotted In Shops as I have been very busy lately, but I had to let you all know about this new "Love it or hate it" flavour Kitkat from Nestle - Lemon Drizzle! 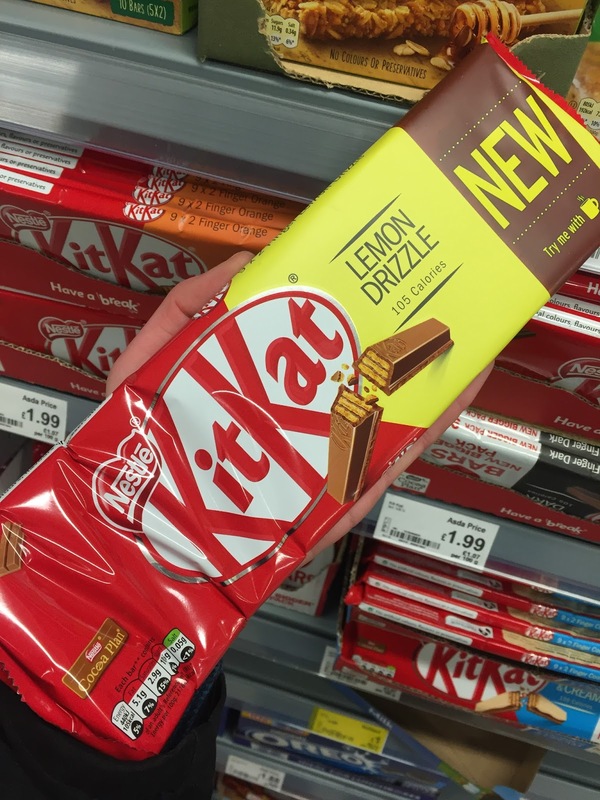 Featuring "lemon flavour milk chocolate" coating the wafers, this sounds either very nice or disgusting - a definite marmite flavour. Strange that they didn't use white chocolate since it goes much better with lemon, but there you go! If anyone tries this please do let me know in the comments! (I can't as it contains wheat). Available at Asda. £1.99 for a multipack. Love it? Hate it? Can't find it? Let me know! I was in ASDA only yesterday and didn't spot them, must pay more attention next time. I tried them yesterday. They are surprisingly really nice!